Carrier makes a range of heat pumps to serve diverse consumer needs. The Carrier Base Series Model 25HBC offers good efficiency and reliability for those who want to reduce their initial costs. This letter from Bridgette in Louisville, Kentucky shares her Carrier Base Series Model 25HBC3 heat pump price and presents a typical picture of when this dependable heat pump is a good choice. Compare this information with other heat pump prices and specs on our site to help determine the right brand and unit for your needs. “My husband and I bought a little repo home in the city last year when I entered graduate school. We knew the house needed work but he’s handy so no problem. The a/c wasn’t functioning at all so that was job 1 since summer was approaching. The furnace was older too so we made the decision to replace the whole thing with a heat pump. We bought the system online and when it got here my husband spent a whole day going over the specs and installation manual. Finally he told me he didn’t think he should try to install it by himself. This from a guy who rebuilt the transmission on our truck and wired the new home his parents are building. I was actually impressed that he knew his limitations but he took it rather hard that he couldn’t do it. The first Carrier dealer he called gave him a hard time about installing a unit they didn’t sell but said they’d come and look at it. He told them forget it and made another few calls. Early the next week a crew came and installed the unit. My husband watched them and later told me he had ‘definitely made the right call.’ That made him feel better, but he still didn’t like spending the money! 13 SEER and 8.3 HSPF when installed as part of a matching system. The compressor is a scroll type. Uses Puron as the refrigerant. Noise Level: As low as 70 db. Can use a Carrier Thermidistat or standard thermostat. Models available from 1.5 tons to 5.0 tons and 18,000 Btu to 60,000 Btu. Galvanized steel and baked on powder paint. WeatherArmor dense wire coil guard. 10-year parts limited warranty WHEN INSTALLED PROPERLY (My hubby liked that part). Yes – When Installed Properly! Bridgette’s letter offers a few helpful insights. First, it really does make the most sense to hire a qualified contractor to do the installation. Special skills and also unique tools are required for the job. It takes good training and experience to do it right. Secondly, and related to this, hiring a professional right from the beginning will insure you get a unit that is properly sized for your home. This is a very important part of the process – at least as important as getting the right brand. 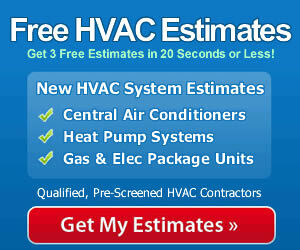 HVAC contractors use a complex set of calculations to determine the best size unit for your needs. Problems can arise when units are significantly too large or too small. Many homeowners have tried to save money in a DIY project only to find it actually costs them cash in the long run. By the way, check out all of our HVAC prices to compare brands and costs – and then when you do make a decision, send along your details to us by using our Share an HVAC Price page and its easy-to-use submittal form. We, and our readers, will appreciate it.